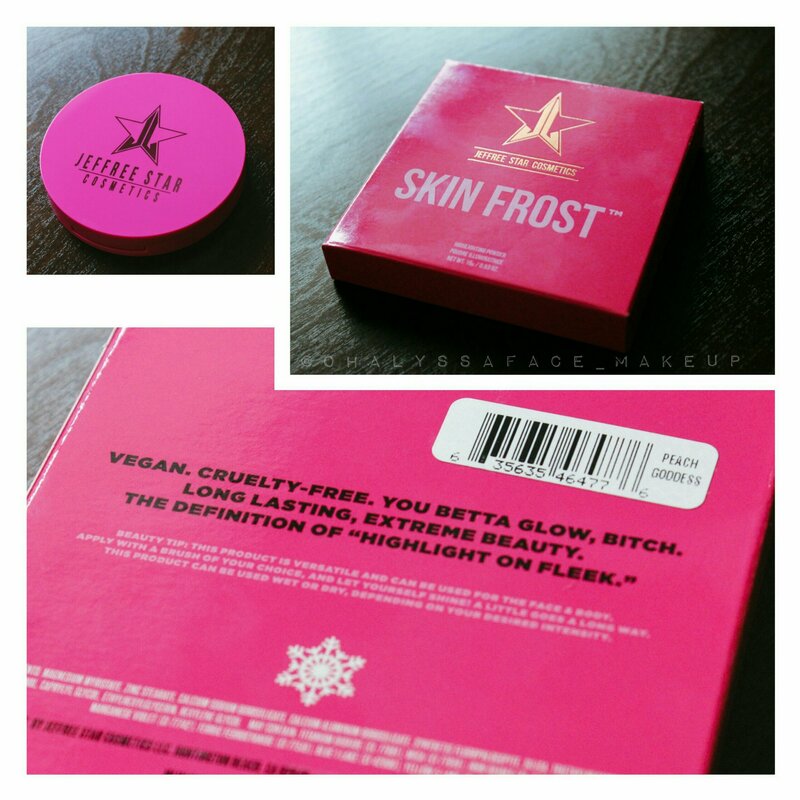 Posted on 06.05.16 06.05.16 by Alyssa K.
U h – l e r t.
The new Jeffree Star Skin Frost Highlighters launched on May 25th, and I was lucky enough to get my hands on the one I wanted to try the most, Peach Goddess! I don’t know if you guys have seen these in action, but let me tell you…actually, let me just show you, rather. Um, hi there GLOW. How are you today? I cannot wait to fully experience you in all of your peachy glory. I’m going to be really candid with you right now. I’ve had this highlighter for days and haven’t even swatched it yet. Seriously. I can’t touch it. It’s so gorgeous! Haha! I’ll summon the courage to do that over the weekend though, so that I can get a swatch post up for Makeup Monday! Okay, SO, let us move on to the good stuff. I’ll keep it pretty simple. I mean, come on now. That synopsis on the back is great. Simple monochrome theme with the signature JS hot pink color. 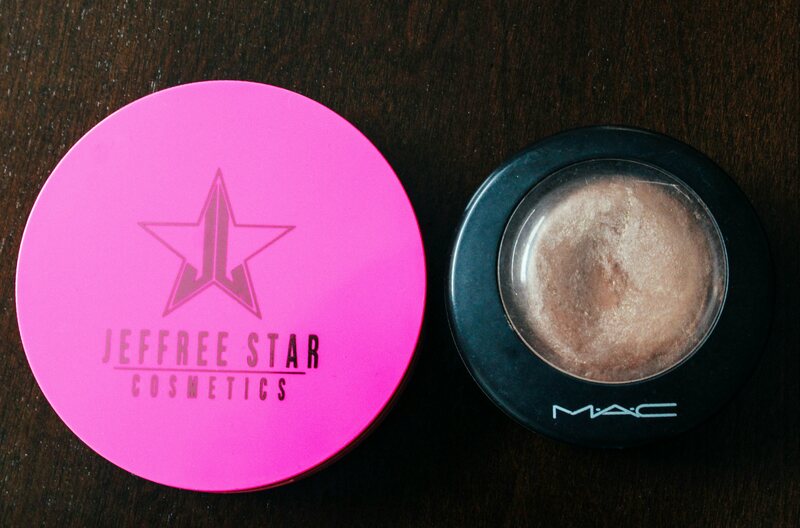 Not too much, but still eye-grabbing o b v s. I love that there are traces of Jeffree all over his products. Always true representations of him, that reflect outward on every different product packaging. Company owners that constantly stay involved are my freaking favorite. Also the mirror in this compact is huge, and gorgeous. No cheap foggy circus mirrors found here, no ma’am. I have no idea why I call those crappy generic mirrors that you can’t see anything out of “circus mirrors”, is that what they’re called? Do I just say that because they remind me of those creepy mirrors that clowns use to put their face makeup on? Clowns are awful. UGH! a n y w a y – The thing is quality, that’s all I’m getting at. It’ll probably replace my current everyday compact mirror. It’s massive. I know the biggest buzz about these highlighters is the pan size. COMPLETELY VALIDATED. Are you serious with this? Like, WHAT DID WE DO TO DESERVE THIS OH MY GOD?! Mac Cosmetics Soft & Gentle Highlight sells for $32, and gives 10g and it’s no secret at this point that Mac is not a cruelty-free company. No shade or anything though. Only truths. I’ll always love Soft & Gentle. But these are just the facts! And the facts are: these Skin Frosts are sold at a ridiculously solid price-point, considering what you get. 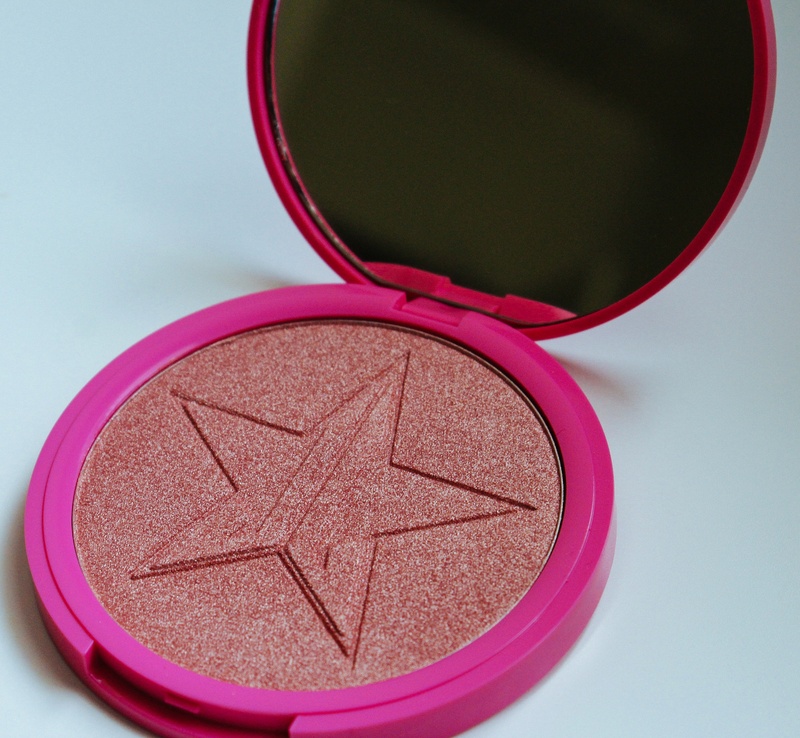 I copped myself this highlighter on launch day (miraculously) – May 25th, and it was in my hot little hand on May 28th in perfect condition. Thoughts on quality/pigmentation coming tomorrow! Previous Post Purple Smokey Eyes – Drama, Drama, Drama. Looks gorgeous! 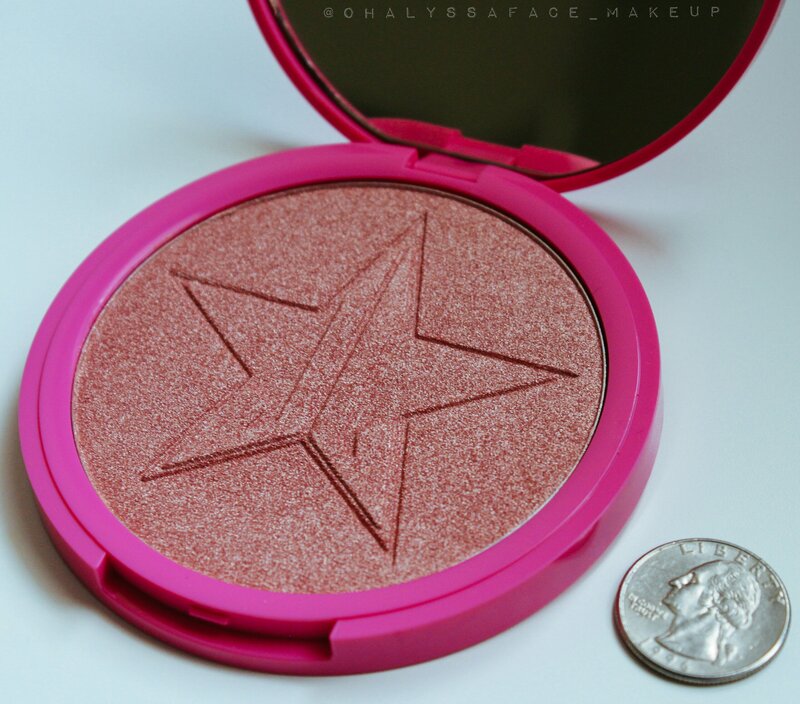 I have never tried anything from Jefree Star Cosmetics but now I need to! I need to see the other colors they have because I am on the fairer side and I feel like this would be far to pink or dark for me. But none the less this looks amazing!